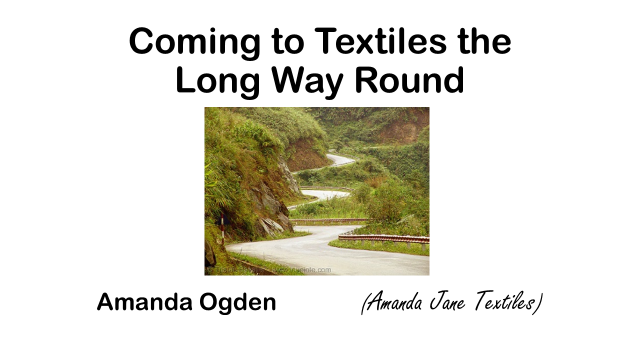 I have just been preparing (and then giving) a talk entitled ‘Coming to Textiles the Long Way Round’. It took some time to get ready as it involved lots of visuals and I wanted to make it entertaining as well as informative. In the end it was very instructive for me, actually! 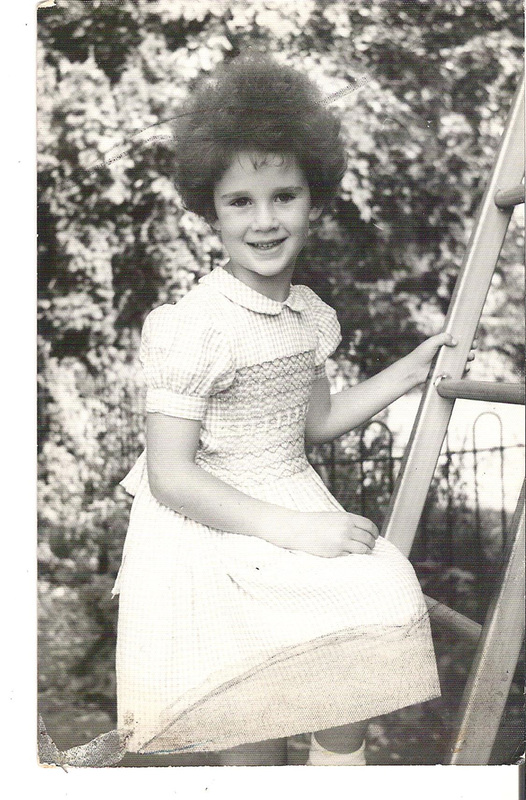 I realised the extent to which I hadn’t really appreciated the ‘home-made’ clothes, so skilfully constructed for me by my mother. It was interesting to talk to the audience about the love of ‘slow’ work (some of them were hand-weavers). I have to agree; that’s the reason so many of my quilt pieces are quilted by hand, even if they are pieced (put together) by machine. 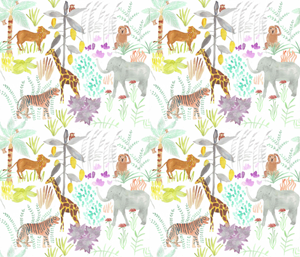 This is the most recent piece (the pattern will be ready for sale and in my Etsy shop very shortly). 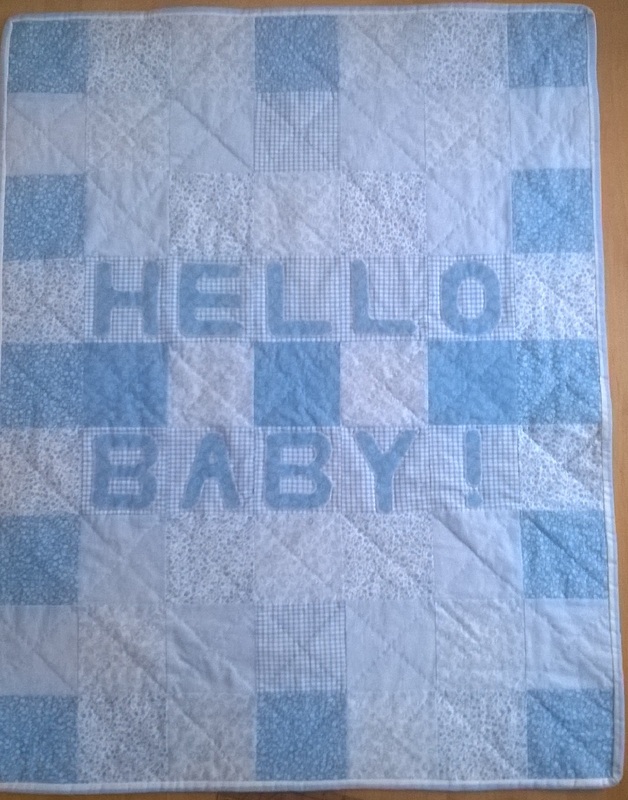 It’s a baby quilt (obviously!) and will be one of a pair. The other is pink (of course) and it’s specially designed for the 21st century when the gender of the baby is often known before the birth, even though the name hasn’t get been decided on! So… time to prepare a quilt to be ready for the big day. It can be machine stitched of course, but the hand-stitching gives it a special quality. 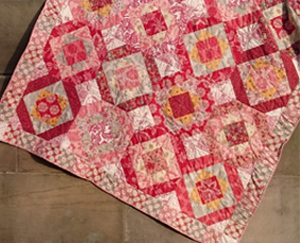 Also, and this is a key point, hand-stitching is calming and relaxing for the maker. This was confirmed by an excellent radio programme on the BBC (Radio 4) broadcast on Monday 17 November 2014 and at the time of writing, available on BBC iplayer (www.bbciplayer.com), entitled ‘A needle pulling thread’. 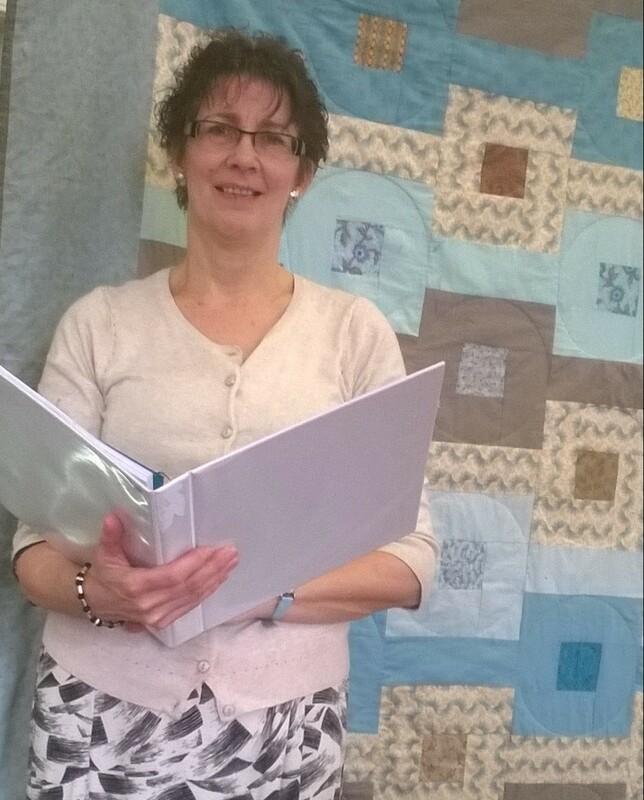 Many different examples of sewing were made, including an interview with a participant in the ‘Fine Cell Work’ programme. He referred to the calming effect of the “repetitive action of the needle”.